Cutting and dieting are both concerned with losing weight. However, they are different in their goals and methods. Cutting weight is not the same thing as dieting. If you are interested in fitness you should know the difference between these two forms of weight loss. We will explain what the difference between cutting and dieting is and when one is appropriate. Let’s start with definitions. A cut is the function of losing fat while maintaining muscle. 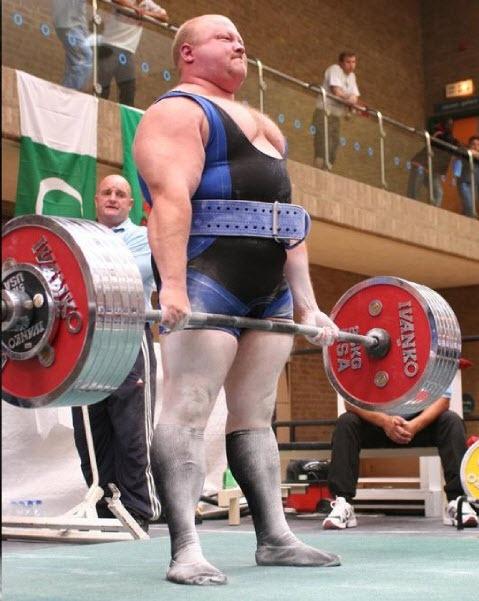 This is performed by those who are strong or muscular, but have a layer of fat on top of their muscle which hides their muscle tone and definition. 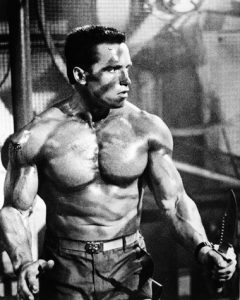 Now in the above, Dean Bowring is probably stronger than Arnold Schwarzenegger. But for a lot of people, strength is not the absolute goal of going to the gym. It is instead a combination of aesthetics and strength, or just aesthetics. A cut would have the goal of getting someone like Dean to look more like someone like Arnold. In other words, the goal of a cut is to remove fat while maintaining existing muscles. Read more about losing fat while gaining muscle. A diet on the other hand is the goal of losing weight. Specifically losing fat. There is little to no interest in maintaining muscle when on a diet. Instead, it is all about becoming less obese. A diet is what most people think of when one talks about losing weight. So what’s the real difference between cutting and dieting? A diet is all about losing weight. There are few other aesthetic considerations when dieting. Because of this, a diet can be a lot more aggressive than a cut. Diets can have a goal of losing two or more pounds a week. Though health should always be considered and a medical professional should be consulted before going on any sort of aggressive diet. Someone on a diet is mainly be concerned with how many calories they consume and how active they are in burning those calories. A cut on the other-hand is reserved and cautious because losing too much weight at once will lead to lose of muscle. Generally a cut will aim for no more than a pound of weight loss per week. What one eats during a cut is also more restrictive as the person cutting must ensure that they get enough protein. A cut is much more of a balancing act, where the individual is eating less calories than they need, but still enough to stop any muscle loss from occurring. During a cut, the individual must perform weight training in order to ensure that their weight lose is removing their body fat and not their muscle. So when should you cut and when should you diet? Well, this really depends on how fit your body is. If you are morbidly obese, don’t worry about maintaining muscle. Just get rid of fat as fast as possible. This means a diet where you count calories and eat well below your daily TDEE. Cardio and other forms of exercise are also great because they burn additional calories. However, if you are strong, but also a bit chubby, a cut might be a better idea. Though a cut is slower than a diet, you will maintain much of your muscle base. Doing this will then allow you to get stronger faster once you get rid of the fat. If you are somewhere in between fat and skinny then you should probably do neither. Most people who are unsure if they should lose weight or gain weight should probably first focus on gaining strength and muscle and then cut down on their body fat once they gain some muscle. Finally, it is always helpful to have a goal weight in mind. I recommend using our fitness progress picture app to see what one can look like at certain weights.